Roger Ailes long commanded one of the pillars of Murdoch's media empire, and a unit of the Murdoch-led conglomerate 21st Century Fox. New York: Roger Ailes, who fueled a revival of conservative American politics at the helm of the powerful Fox News, has died at age 77, months after he was forced out in a sexual harassment scandal. A longtime confidant of media titan Rupert Murdoch who became a central figure in the conservative US political movement, Ailes stood down at Fox in July last year under the cloud of a sexual harassment lawsuit from former news host Gretchen Carlson - one of a string of such allegations against him. "I am profoundly sad and heartbroken to report that my husband, Roger Ailes, passed away this morning," said the statement from his wife read Thursday on Fox News. Ailes, she said, "was a loving husband to me, to his son Zachary, and a loyal friend to many. He was also a patriot, profoundly grateful to live in a country that gave him so much opportunity to work hard, to rise - and to give back." Murdoch led tributes to the late Fox News chairman, hailing what he called his "huge role in shaping America's media." "Roger was a great patriot who never ceased fighting for his beliefs," the 86-year-old said in a statement. "Roger and I shared a big idea which he executed in a way no one else could have." Ailes long commanded one of the pillars of Murdoch's media empire, and a unit of the Murdoch-led conglomerate 21st Century Fox. Under Ailes' leadership, Fox became America's most widely watched cable news channel, home to key conservative political commentators and drawing an audience distinct from rivals CNN and MSNBC. "Today, America lost one of its great patriotic warriors," Fox News host Sean Hannity tweeted. "He has dramatically and forever changed the political and the media landscape, single-handedly for the better." Ailes' influential career at Fox News came to a crashing end after he was targeted in a sexual harassment suit by Carlson, a popular host and former Miss America, who claimed she was sacked for refusing his advances. Carlson's lawsuit opened the gates to a flood of allegations from women, including star host Megyn Kelly, who accused him of groping them or making unwanted advances - and sought to expose what they called a culture of misogyny at the network. Some reports said as many as 25 women had accused the executive of misconduct or harassment. Ailes, who denied any wrongdoing, reportedly received $40 million on his departure. By the time he stood down, however, Ailes had become a central figure in the American political landscape - both revered by fellow conservatives, and vilified by the political left. 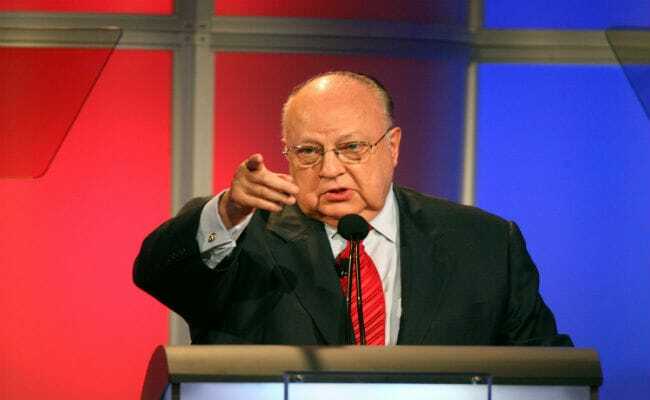 In the 2008 book, "Dark Genius: The Influential Career of Legendary Political Operative and Fox News Founder Roger Ailes," political scientist Kerwin Swint described Ailes as "the dominant media figure of our time," who "radically altered our political and communications landscape." Ailes served as a consultant to presidents from Richard Nixon to Ronald Reagan to George H.W. Bush and, some analysts say, helped revive conservative politics in the United States. He was also reported to have advised President Donald Trump in the 2016 campaign. "He really did as much as anyone to redefine the Republican Party as a party of cultural populism ... making resentment of the media, resentment of elites, resentment of liberals who were soft on crime and soft on national security central to what the Republican Party was about," David Greenberg, a Rutgers University political scientist, told AFP. Critics have long accused Ailes and Fox of stretching the meaning of the network's motto, "fair and balanced." David Brock, the founder of the left-leaning media watchdog, delivered a broadside assault in a 2012 book, "The Fox Effect: How Roger Ailes Turned a Network into a Propaganda Machine." Brock and co-authors wrote that Fox had been the source of "politically motivated misinformation," arguing that it "claims to be a 'fair and balanced' news network while brazenly broadcasting demonstrable lies and distortions, always with a conservative spin."